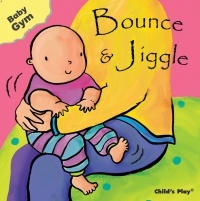 Touch is a baby's first language… Designed to stimulate the senses, and based on research into the benefits of baby exercise and massage, these books encourage interaction between parent and baby. Devoting time to special activities with your baby plays a crucial part in the bonding process. Singing, accompanied by energetic activities, encourages babies to express their emotions, release tension – and just enjoy being noisy!